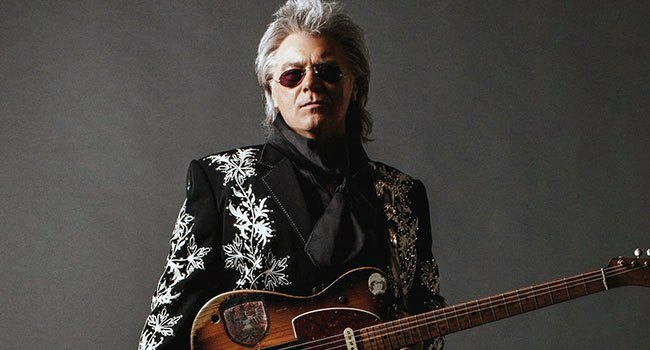 In recognition, celebration and admiration for his standing as one country music’s greatest torchbearers and most enduring talents, the Country Music Hall Fame and Museum has invited Marty Stuart to be its 16th artist-in-residence. The artist-in-residence series is both an honor and a challenge. The museum fers its theaters as a blank canvas to artists grand consequence with the understanding that the artist will curate shows unlike any others. Stuart will produce and perform three shows, on September 11th, 18th and 25th, bringing with him his Fabulous Superlatives band and friends from his nearly half-century music making. Stuart joins a prestigious group past honorees that includes nine members the Country Music Hall Fame. Cowboy Jack Clement opened the series in 2003, and other past honorees include Earl Scruggs, Tom T. Hall, Guy Clark, Kris Kristferson, Jerry Douglas, Vince Gill, Buddy Miller, Connie Smith, Kenny Rogers, Ricky Skaggs, Alan Jackson, Rosanne Cash, Jason Isbell and 2018 artist-in-residence Miranda Lambert. A five-time Grammy winner, platinum artist and recipient numerous industry accolades including the Country Music Association’s prestigious Joe Talbot Award, Stuart began his musical career at age 12, when he joined the Sullivan Family Gospel Singers. After stints with bluegrass great Lester Flatt’s Nashville Grass and Johnny Cash’s backing band, he embarked on a solo career that resulted in hits including “Hillbilly Rock” and “Tempted.” Stuart has also enjoyed a successful collaboration with Travis Tritt as No Hats touring partners and hit-makers (“The Whiskey Ain’t Workin’”). In addition to Flatt, Cash and Tritt, Stuart has worked onstage or in the studio with Bob Dylan, Tom Petty, Charley Pride, Mavis Staples, Porter Wagoner and hundreds others. In the early 2000’s, Stuart formed the aptly named Fabulous Superlatives, a band whose musical skills and sensibilities outshine the vibrancy their Western suits. The Fabulous Superlatives issued their latest album, the critically acclaimed Way Out West, in 2017. The band includes guitar great Kenny Vaughan, famed drummer Harry Stinson and preternaturally talented multi-instrumentalist Chris Scruggs. Stuart will celebrate the rerelease his landmark 10th studio album The Pilgrim during the September 11 show. The Pilgrim, which showcases Stuart’s songwriting and instrumental talents, tells the story a man from Stuart’s hometown Philadelphia, Mississippi. He will celebrate this 20-year milestone with a host musical guests. The 1960s introduced us to undeniable superstars and gave us unforgettable songs. Join Stuart for an evening celebrating country music the 1960s, featuring a line-up influential artists and musicians from one the most important periods country music history. Harlan Howard famously referred to country music as “three chords and the truth.” On September 25, Stuart will pay homage to country music’s musical stories with an acoustic show. This line-up will feature a number Nashville’s most influential and revered storytellers. Tickets for all three shows go on sale to the public Friday, April 19th at 10 am, and can be purchased through CMATheater.com. Tickets for each show range from $39.50 to $85.50 (plus ticketing fees). Sales are limited to four tickets per transaction on a first-come, first-served basis, and are non-refundable. Shows begin at 8 pm. The museum’s artist-in-residence program is presented by Carter Vintage Guitars.